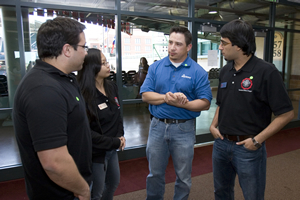 Beta Alpha Psi, an accounting honor society for students at the UH C. T. Bauer College of Business, hit a homerun with their “Double Play Day” event at the Houston Astros game on April 18, 2008. 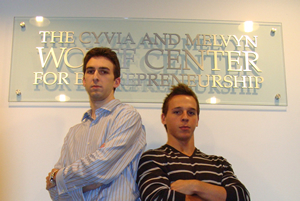 The tradition of putting lessons learned in the classroom to practical use has continued for students in the marketing & entrepreneurship department at the C. T. Bauer College of Business at the University of Houston. 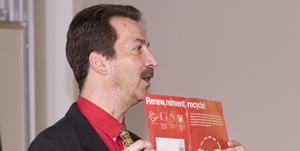 In business, not much attention has been paid to how best utilize an inevitable and historically unprofitable piece of the supply chain puzzle: returns, especially of high-dollar items like office equipment or specialized machinery that come back slightly damaged. 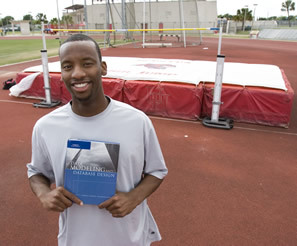 Management information systems senior Ivan Diggs is flying high after his recent successes on the track and in the classroom have proven that the UH C. T. Bauer College of Business is home to superstars in both business and athletics. 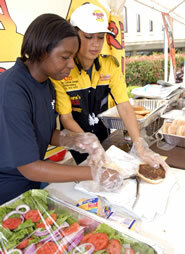 Students from the UH C. T. Bauer College of Business grilled their way to success at the annual Wolff Center for Entrepreneurship BurgerFest in April. 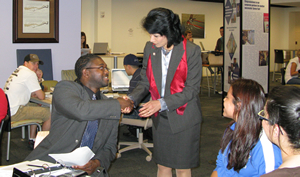 University of Houston President Renu Khator spent the morning touring Melcher Hall and meeting with C.T. Bauer College of Business Dean Arthur Warga, department chairs and staff leaders on her 77th day on the job.